New Delhi (PTI):Chief national coach Pullela Gopichand today made it clear that India is still far away from being a dominant force such as China and said an overhaul of domestic structure and administration will be needed to become a badminton superpower. “I think we are still far away from China. I don’t think it is a fair comparison. We have done well but I would want them to do well in World Championships, Olympics and All England, playing consistently and only then we can say those things,” Gopichand told PTI. “What we need to do is, when every country does well, it has its athletics going up and together they should also have the coaches and support staff going up, and also government structure and policy going up. “Here, by just our sheer push of energy we have our players going up there but our coaches, support staff, managers they are not of the same level,” said the 2001 All England champion. Indian shuttlers, specially the men’s brigade led by Kidambi Srikanth, have been in rampaging form as they scooped up four Super Series titles out of six till now. While P V Sindhu clinched the India Open, Praneeth lay claim to his maiden Super Series title at Singapore before Srikanth won back-to-back titles at Indonesia and Australia in the last two weeks. 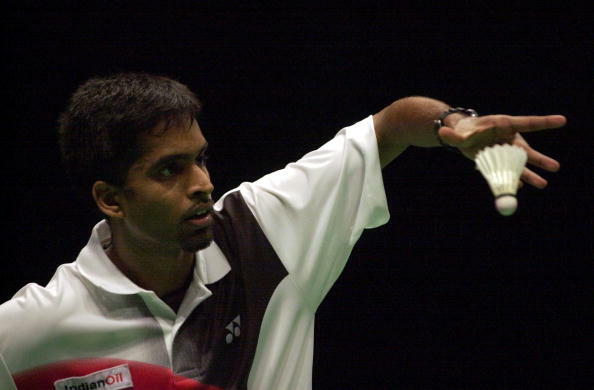 Gopichand, who took over the reigns of Indian badminton in 2006, was also critical of the level of domestic tournaments and administration. “Our tournaments and administration is not world class. We still have domestic tournaments which were built in 1991. So for 25 years we have same domestic structure, same nationals, same major ranking, same thinking,” he said. Gopichand, who produced two Olympic medallist in Saina Nehwal (London Games bronze) and P V Sindhu (Rio Games silver), hailed the government for support but said there is a need to plan things better. “Our structure is not sustainable. We have got a lot of support from government and sports authority of India but organisationally we haven’t grown enough to support the system,” he said. “We haven’t done our planning and restructuring, our thinking is not still world class, our thinking doesn’t even know what is world class. It is time to address those issues,” said the 43-year-old.